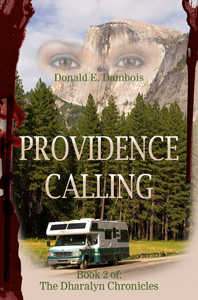 Providence Calling follows the further adventures of Danielle Walkerman and Dharalyn the vampire girl along with several other new characters introduced in the first book. The story continues as Dharalyn attempts to fit into the day to day life of a normal, sixteen-year-old teenager attending high school, going to parties and interacting with her peers. Of course, things get a bit touchy when she meets up once again with mob boss, Michael Moretti and warns him to stay away from both she and Danielle. 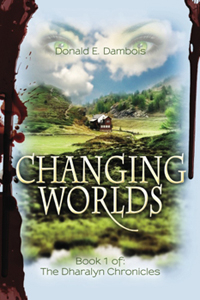 Changing Worlds is primarily a dramatic, action-adventure piece following the exploits of Danielle, a sixteen year old human girl and Dharalyn, her vampire friend from another world as they deal with one challenge after another. of their world and its limitations would change dramatically. Lastly, Changing Worlds gets back to old fashioned, epic storytelling which engenders moral fiber, family values and a test of true friendship. Its sweeping storyline is rich with powerful imagery, extraordinary detail and depth of characters, which will provide a memorable reading experience the reader will want to enjoy again and again. 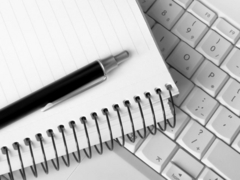 EXTRA: Click here: Video Trailer to see a preview of "Changing Worlds"
Note: Go to the News & Events page to get up to date on whats happening and to the Readers Blog to read actual testimonials from people who have read "Changing Worlds".